This member og the Fabaceae family was given this name by René Paul Raymond Capuron in 1968. 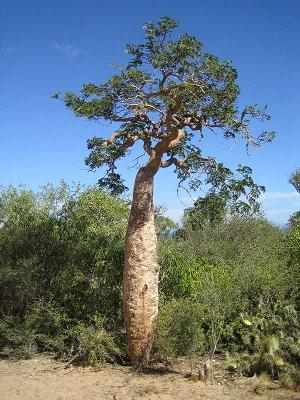 It is found on Madagascar, growing in a well drained soil with some water and lots of sun. The stem grows to 25 centimetres in diameter, the whole tree will grow up to twelve meters high. The flowers are white and yellow.